Lost, don't be, as I am referring to the upcoming game, Sumioni: Demon Arts for the Vita. 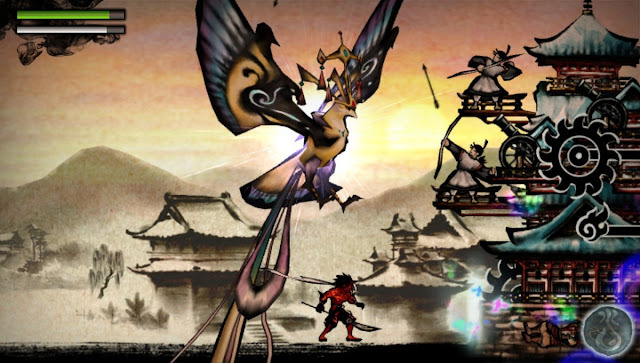 Sumioni is an action platformer whose title translates to Ink Demon. Players will guide an inked character through sumi-e styled levels taking advantage of both the front and back touch areas by touching to create platforms or summoning allies with a swipe of your finger. When not summoning allies, you will lead the inkdemon Agura in hack ans slash gameplay. Keep a look out for more to come as we should be providing a review come release.